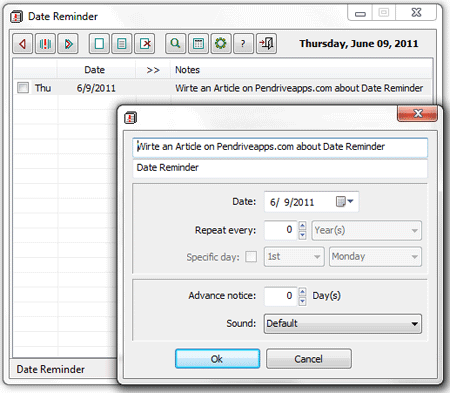 Date Reminder is a Freeware Portable Event Reminder Software created by Horst Schaeffer. It can be used to create reminders of events, birthdays, appointments, billings etc. Reminders can be recurring or non-recurring and you can adjust when to be reminded. It also includes launcher capability enabling you to load a file, program, email or website as part of the reminder.